There's long been a debate over exactly how many fish there are in the sea — especially cod. Cod has been overfished for decades and because of that, strict catch limits were put in place, particularly in the Gulf of Maine where cod were once plentiful. 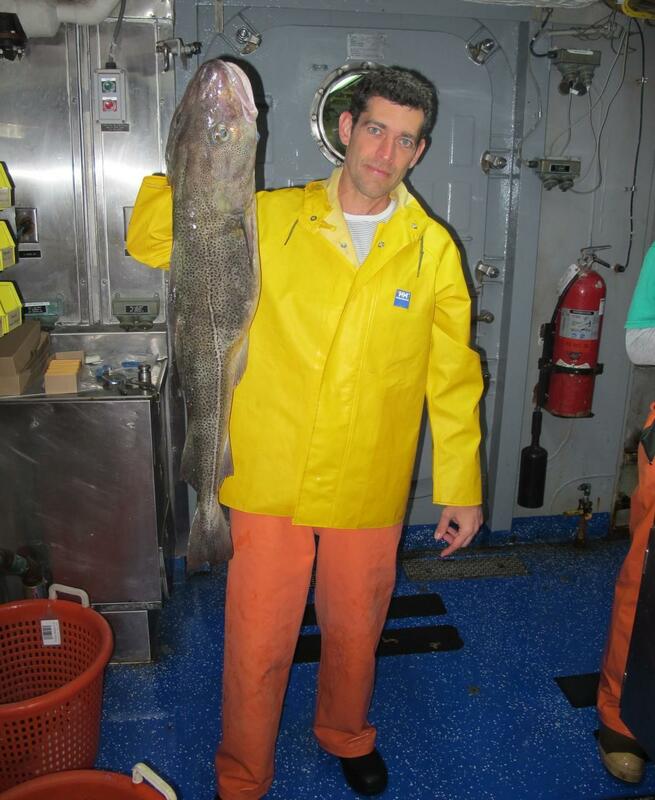 Author Rowan Jacobsen recently volunteered on one of the research expeditions that the National Oceanic and Atmospheric Administration runs to count cod and other fish off the Northeast coast, to determine if fishing cod is as sustainable as fishermen say it is. They didn't find much cod, but they did find several other types of fish, including the intimidating monkfish, one of the "trash fish" species that sustainable fisheries advocates say consumers should be eating more of now that cod is depleted. Rowan Jacobsen speaks with Here & Now's Jeremy Hobson about his expedition out to sea. "The real story from, what I've seen, is cod are pretty much done — you can just cross them off the list for the foreseeable future," Jacobsen says. "But there's a lot of other fish out there — and that's actually one of the big things we need to do and kind of wrap our heads around, is switching the fish that we look for in a store or in a restaurant from the few that we are familiar with, like cod, to ones that we might not be familiar with, but are abundant and delicious." Rowan Jacobsen, whose article "Counting Fish" appears in the current edition of Yankee magazine. He tweets @rowanjacobsen. This segment aired on November 20, 2013.